Given the last-place finish of the Buffalo Sabres and the comments made by veteran leader Ryan O’Reilly at the end of the season, it would come as no surprise if the team was to trade away their best player not named Jack Eichel in an effort to build around Eichel and his fellow promising young players. Earlier today, TSN’s Darren Dreger spoke on the extensive demands that Buffalo GM Jason Botterill has for any return in an O’Reilly deal and, while he admitted that a deal is beginning to seem more likely, felt that it would take a lot of work for any team to make a fair offer in Botterill’s eyes. Dreger’s TSN colleague and The Athletic reporter Pierre LeBrun seems slightly more optimistic about the likelihood of a deal. 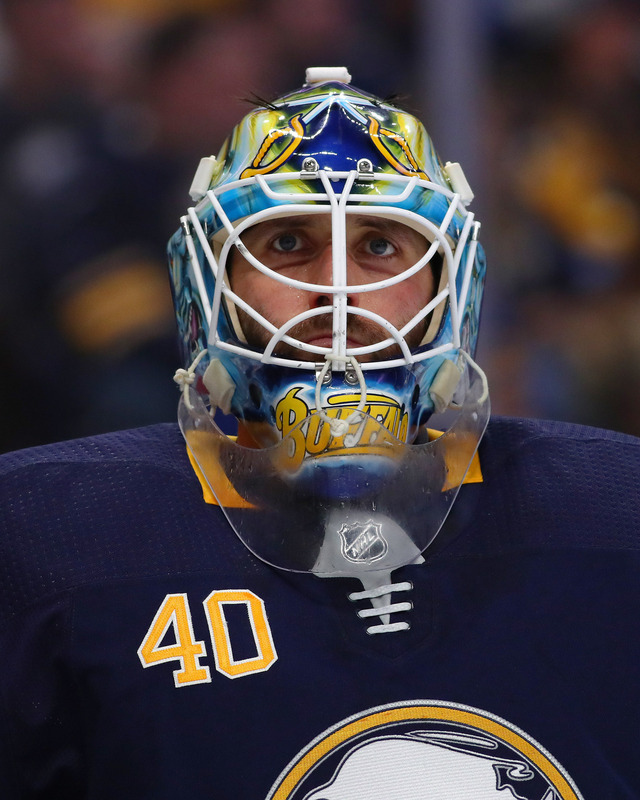 LeBrun admits that O’Reilly likely wouldn’t mind returning to Buffalo, what with Casey Mittelstadt and Rasmus Dahlin likely in the fold next year and beyond, and the Sabres may not mind keeping him. However, LeBrun opines that if John Tavares re-signs with the New York Islanders prior to the NHL Draft, the top center on the free agent market will be Paul Stastny and many teams would prefer to search the trade market instead, where O’Reilly appears to be the top prize down the middle. Given the Sabres’ desire to add young pieces – picks and prospects – to develop alongside their new, young core, the draft would be the ideal time to strike on an O’Reilly trade. LeBrun goes so far as to say that the Montreal Canadiens have already discussed such a deal. Another player who LeBrun feels is primed to be dealt during or around the upcoming draft is Ottawa Senators forward Mike Hoffman. Hoffman was a frequent member of the rumor mill through the most recent NHL Trade Deadline, but remained in Ottawa, at least for the time being. LeBrun says that those rumors are back in full swing and that he feels Hoffman will be traded at the draft. The Senators are not trending in the right direction and could benefit from both the multi-piece return that Hoffman would command and a reprieve from his $5.18MM salary over the next two seasons. LeBrun notes that the Los Angeles Kings and Calgary Flames were the top suitors for Hoffman at the deadline, but the St. Louis Blues and Florida Panthers were also among a plethora of teams pursuing a player who has flirted with 30 goals and 60 points for three years in a row. The Carolina Hurricanes and Vancouver Canucks have already been rumored to be listening on offers for their top ten picks in the upcoming draft; add the Arizona Coyotes to that list as well. LeBrun states that the team has contemplated offers and would consider moving up or down on draft day, depending on how the picks fall. LeBrun believes that GM John Chayka has already spoken with the Montreal Canadiens about a swap involving picks #3 and #5, in case the Habs feel they can get the top center in the draft, Jesperi Kotkaniemi, later on and if the ’Yotes have a preferred choice between potential second overall picks Andrei Svechnikov and Filip Zadina. He also feels that there is a strong chance that they could trade down, given the depth of defensemen in the first round versus the desire of other teams to move up for top forwards. Look for Arizona to be busy on the draft floor later this month. Another team that could be making moves on draft day are the Toronto Maple Leafs. In a mailbag for The Athletic, Jame Mirtle says to expect new GM Kyle Dubas to trade down, perhaps even multiple times, during the draft. When Dubas ran the draft for the Leafs in 2015 he employed this strategy, seen far more often in the NFL than NHL. Dubas traded down twice in order to collect multiple picks in later rounds. In a draft that many feel has a significant drop-off in talent after the first 20-odd picks to a tier that encompasses the next 60 or so picks, if Toronto feels that they don’t have a surefire option at 25th overall, they could swap with a team who has a specific player in mind and potentially grab multiple player of similar caliber later on. Two long-time veterans seem to be on the outside looking in this offseason as the Columbus Blue Jackets as both defenseman Jack Johnson and center Brandon Dubinsky struggled last season and saw little to no playing time in the playoff. Johnson didn’t play in any of the Blue Jackets playoff games against Washington, even though they lost four in a row. Dubinsky ranked 10th among forwards in average ice time and only played 4:09 in the final playoff game. While the team is highly unlikely to bring back Johnson as he is an unrestricted free agent and Columbus is overloaded in solid blueliners, Dubinsky is another situation, according to Aaron Portzline of The Athletic (subscription required). The 32-year-old still has three years remaining on the six-year deal he signed in 2014 at $5.85MM AAV. He is the third-highest paid player on the team behind goaltender Sergei Bobrovsky and winger Artemi Panerin. Portzline writes that with his drop in production this year (16 points compared to 41 in 2016-17), the veteran has no trade value and a buyout at this stage isn’t worth it. That means the team is stuck with him and only a renewed effort by Dubinsky could regain him his old role. Previously rumored, but Sportsnet’s Rick Dhaliwal reports that Vancouver Canucks prospect Elias Pettersson and backup goaltender Anders Nilsson have each made the preliminary roster for Sweden for the World Championships this summer in Denmark. Pettersson, the team’s first-round pick in 2017, who had the best season ever for a 18-year-old rookie in the SHL, is expected to compete for a roster spot with the Canucks in training camp.